When you set your mind to it you can do anything. We know this episode’s guest, Paul D’Abruzzo, as a long time investor and a coach to many real estate investors at Rock Star Real Estate. What we didn’t know is how he got started, where his first down payment came from and what happened to his first vacation home. 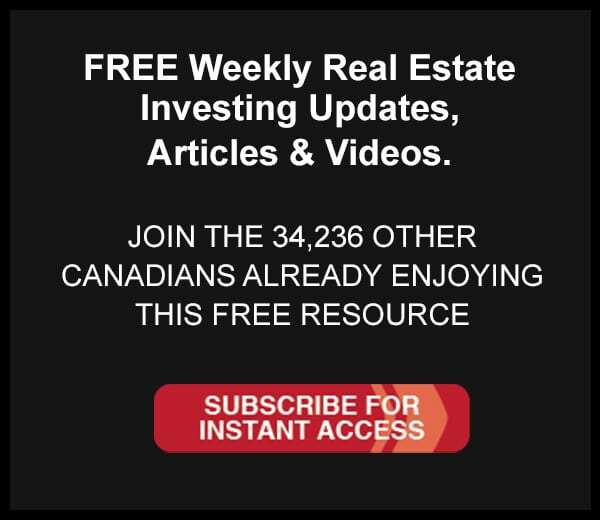 We dive into multi-unit investing and financing options to Canadians and on the motivation required to invest in real estate. Tom Karadza: Hey everyone, it’s Tom Karadza. We’re back with another episode of the Your Life, Your Terms Show. First off, we just wanted to thank everyone for the reviews we’re getting on iTunes, for the feedback we’re getting in person and through email. We’re having a lot of fund doing this. A little more fun than I think we had originally even anticipated. So thanks for all the feedback. It’s motivating us and it’s giving us ideas for upcoming episodes so keep sending in your thoughts, keep sharing your reviews. It’s really encouraging and we’re really getting a kick out of this. On this episode we have a great story. This is someone who is now a Rock Star coach and has been with us here at Rock Star for quite some time. He works with a bunch of investors but we had no idea some components of his story. So you’re gonna hear how he started reading books at 22 years old, and then when he was 24, started buying real estate. We really had no idea where he first got the money; wait until you hear how he outlines the down payment process that he went through to buy his first property. And then, where he is now and what he’s been able to help with other people. It’s a great story. We talk some multi-unit investing and some details of analyzing multi-unit investing in apartment buildings through the talk. So we hope you enjoy it. We don’t delay any longer. Let’s get to the show. Announcer: Are you ready to live life on your terms? Is it time to take charge? Real estate. Business building. The economy. Health and nutrition. And more. It’s the Your Life, Your Terms Show with Tom and Nick Karadza. Are you ready? Let’s go. Tom Karadza: Okay, we’re live so Paul D’Abruzzo. Where is your family from? Middle of Italy? Paul D’Abruzzo: It’s a big place called Abruzzo. Tom Karadza: Abruzzo. Middle of Italy? Tom Karadza: Rome? East, south east of Rome? Paul D’Abruzzo: … Adriatic side. Tom Karadza: On the Adriatic side. Tom Karadza: So we could take a boat from your place to our place. Paul D’Abruzzo: You could throw a football. Nick Karadza: If you had a good arm. Nick Karadza: Yeah, how old were you when you started? Paul D’Abruzzo: I think, I closed on my first property when I was 24. So I think I became a member at 24, 23-ish. Somewhere around there. Tom Karadza: 24 you bought your first property and then you went on to buy a bunch more properties and then now, do you have any buildings for yourself? Or do you just help people buy apartment buildings? Paul D’Abruzzo: I do have one commercial building and then a smaller residential/ commercial building. Tom Karadza: And how old are you now? Nick Karadza: You are an old guy. Nick Karadza: All down hill from here. Tom Karadza: What I was gonna say, that part of Italy, you can’t quite throw a football, but I have taken a ferry from Ancona Italy over to Split over night. A slow moving ferry. I slept outside on the dock. That was a great little trip. I was young. Paul D’Abruzzo: It’s fairly close. Tom Karadza: It’s really close. Okay. Just so everyone’s aware before we get into, and I’m gonna ask you about some apartment buildings and some of your favorite areas to invest in, all that kind of stuff. What was it at 24 years old that made you buy a property? That’s not normal. Nick Karadza: You were a punk? Paul D’Abruzzo: Yeah, a punk. Doing bad things that I won’t mention on this show. Nick Karadza: Perfect. Maybe enough times gone by that you can’t get in trouble for that. Paul D’Abruzzo: Anyway, there was just something inside me that I decided that I needed to make things better. So just like most people who have that feeling, I started reading books. I was living with my grandparents at the time, and I just stared reading a reading and reading and when you’re that young and have nothing better to do, you can get through a lot of books really fast. After that, I got onto this seminar mode. I started going to seminars in Toronto and outside of Toronto and outside of Ontario, even. And then ended up in this seminar in California, all by myself. I should preface that. It was, you guys probably know this one. You guys ever been to the Millionaire Mind Intensive? Paul D’Abruzzo: Yeah. When you’re 22, that’s a big thing. Nick Karadza: You were 22 and you flew to California alone to go the the seminar? Nick Karadza: Wow. Good for you…Most people won’t take that plunge. Nick Karadza: The long term spending, short term spending. Tom Karadza: … short term. And then I came back with my plastic buckets. These things were probably worth a dollar from the dollar store. I think I spent like $50 on these things. I lugged them home and then I went to the bank and I opened bank accounts to match my plastic buckets and the guy thought I was insane. We still have those bank accounts and use them to this day. Paul D’Abruzzo: As a side note, I didn’t buy the buckets because I’m not as crazy as this guy. Tom Karadza: Saved you 50 bucks. Nick Karadza: Went to the dollar store instead. Tom Karadza: I still have one at home. Paul D’Abruzzo: I just went to PC Finical to open free bank accounts. But I still use those accounts to the day. I managed the percentages I put into my own liking, but I used them and I’ve used them very successfully. Tom Karadza: I find them, we still use them too. We have a primary or main checking account and then we have a health account and an insurance. I forget. We’ve remained them over the years, but like an account for all insurance. I think an account for all the kids’ activities. And then a car account. And we chop up our money like that int accounts. It’s been a great little tip. It’s ridiculous how simple that is. He taught that. Anyway I think our mom signed up for all his other courses. Like the Warrior, she went to everything. Our mom’s always been like that. I don’t know if we’ve every shared this yet, but our mom also put us into meditation camp when we were like 13 which, Nick, you would have been like eight. Nick Karadza: I remember. I remember learning about memory pegs and putting yourself to sleep. I remember the whole process of trying to get into the meditative state and stuff. And I remember that from when I was that age. Tom Karadza: It had a really positive impact on me. Nick Karadza: you know what? If nothing else just the understanding of it made a big difference to me. Tom Karadza: Yeah. It made me feel like I was in control of my life. Nick Karadza: Yeah, I never really got to that level. Nick Karadza: No control over here. But it was good. Paul D’Abruzzo: I have that one. Tom Karadza: You have that book? Paul D’Abruzzo: Little thin one. Tom Karadza: Little thin, great book though. Paul D’Abruzzo: To the point. Tom Karadza: Yeah. So we all start that way. But you flew to LA for that one. Tom Karadza: His closing skills. Paul D’Abruzzo: Unbelievable. And his voice is just booming. Almost like an opera singer. You’re mesmerized. Anyway. Tom Karadza: Wow. You really liked him. Tom Karadza: Yeah, he had a big impact. A couple months later I fly to California, I don’t even remember where now. But I remember landing at LAX and I’m like, “wow, this place is twice the size of Pearson.” Pearson is nothing. Like eight terminals. And we flew on one of those little airplanes with the propellers. And I remember sitting beside the propeller. We land in this small place and it was a nice little resort. It was … It was three days of more people selling stuff on stage, basically. Tom Karadza: You went from one place where they were selling to another place, but this time you flew to go there. Paul D’Abruzzo: Nowadays I appreciate the process, but I was kind of…bummed. But it was a good experience. Tom Karadza: You always learn something, even if they’re pitching stuff. Paul D’Abruzzo: Exactly. But I left there with two things. A. I learned another word called, “cash flow.” And I learned about real estate. The thing I noticed there was half, the guys, at least, were in some real estate-related thing and they were generating passive income. There was a guy selling mortgage notes and a guys with commercial properties and guys with residential properties. And all kinds of crazy stuff. American stuff. Most of it not really relatable to what we do here in Canada in terms of investing, especially to what we do here at Rock Star. Anyway, half real estate. So when I got home I had passive income, I had cash flow, and I had real estate. That’s it. Tom Karadza: So it got you thinking. Paul D’Abruzzo: That’s it. It got me from all the books I was thinking a million things and going there actually focused me on those three little things. Somehow I researched and did a bunch of stuff and landed at Rock Star. Actually, I landed at some really crappy website called Real Estate Renegades. Tom Karadza: We still have that website. Nick Karadza: That’s a wonderful website. Tom Karadza: That’s a great website. Paul D’Abruzzo: Go to that one right now while you’re listening to this. Not while you’re driving though. Nick Karadza: It might be the best looking website on the entire internet. Paul D’Abruzzo: But it worked. And then somebody started mailing me a bunch of paper work. Nick Karadza: That was our mom, probably. Tom Karadza: No that was still us. Nick Karadza: We were still doing mailings at that time, yeah. Tom Karadza: We were still arguing about who can lick the envelopes faster. Paul D’Abruzzo: 2008, 2009, something like that. Tom Karadza: Yeah, that was still us. Tom Karadza: And then you came out when our office was in Burlington. Tom Karadza: Did you have enough money, you saved up enough money at that age to buy a property? Did you borrow money from your family? Paul D’Abruzzo: No. Hell no. I had a couple thousand dollars. Literally, a couple thousand dollars lying around and at the time. When I was actually going to by the property, I literally had to break two piggy banks and roll coins. Paul D’Abruzzo: I’m not kidding. Tom Karadza: I didn’t know this. Paul D’Abruzzo: I put in another 1200 bucks in coins. It was one piggy bank and one of those, remember back in the day when we had pennies you used to keep the big four liter jugs? Paul D’Abruzzo: Full of pennies. So I counted all those and I put in like 1200 bucks more. Nick Karadza: You had 1200 bucks in change? In pennies? Paul D’Abruzzo: It was a four-liter thing. Nick Karadza: The monster thing, wow. Paul D’Abruzzo: Plus like a couple regular piggy banks. I’m Italian. My people don’t give you money… So I was still short and Laura gave me an extra couple thousand dollars to do the closing costs. I forgot about closing costs. Tom Karadza: Did we conveniently forget to tell you about closing costs? Paul D’Abruzzo: No. Well, maybe. I don’t remember that much. Paul D’Abruzzo: And I did my first property and luckily it was one of those rent to own properties. I used the down payment I got from my first property to fund my second property. Nick Karadza: You had a decent down payment, did you? Paul D’Abruzzo: Yeah it was, in the first weekend. We closed on a Thursday. We went there in Friday, picked up the keys. We cleaned the place and me and Laura slept there on Friday night on blow up mattresses and ate takeout food. We woke up Saturday morning. I had already been advertising a week or ten days before it even closed, so Saturday at one o’clock we had people showing up like crazy. Sunday we had people showing up. Saturday we had people who wanted the place, I said, “come back Sunday.” I went home that night and slept and came back Sunday and he brought a check and we got a $12,000 down payment. Tom Karadza: Good for you. Nick Karadza: That was nice. That was worth sleeping on the blow up mattresses. Nick Karadza: That’s when you knew, if she was gonna do that with you, that’s when you knew you had to propose at some point down the road. Paul D’Abruzzo: Yeah, it only took like five more years. Nick Karadza: Yeah, but that’s okay. It was solidified. Tom Karadza: And then you went to student rental properties, right? Paul D’Abruzzo: Yeah. We did a couple more single family homes and then we went up to student rental properties, did a couple of those. Then we went up to some small residential-type multi-families. Four-plex and a triplex. Tom Karadza: So all just saving money? Because then I know you got your real estate, you joined the Rock Star team at what age? Paul D’Abruzzo: It was shortly after the first year I was … less than that even. Tom Karadza: So then you were making, and then you’re also a firefighter? Tom Karadza: So you were making money and just saving it. I’m just trying to figure out how you bought those properties. You just kept saving everything? Paul D’Abruzzo: No, that’s right. That probably helped out. Nick Karadza: That makes a big, because I know for me when I was able to save money early on, working full time but living at home. You take those expenses away and all of a sudden … because what happens early on in your early 20s, sometimes you start working full time, you’re living at home, and instead of putting that money to good use you’re out partying, you’re drinking, you’re doing all sorts of other stuff with those funds because it’s just so readily available. Paul D’Abruzzo: Don’t get wrong, I was still partying heavily. Nick Karadza: It seems like there’s more of a gap. The majority will start either earlier or later. Paul D’Abruzzo: … crazy expensive. Nick Karadza: … just flowing out. Paul D’Abruzzo: I feel like everything I make I spend. Nick Karadza: I don’t think the kids get cheaper, either. You’re kids are still young, so as they get old, I think they’re just … I just look at Tom and how much money he’s spending and I hope I don’t have to spend that much. Paul D’Abruzzo: Yeah, I gotta come to Tom with my handout for some money. Nick Karadza: If that works, let me know, by the way. Tom Karadza: How did you get over to apartments? I’m looking at Paul, he’s wearing a gold chain as I’m talking to him. He doesn’t look like the kind of guy, just if I ran into you out on the street, I wouldn’t think that you need money. Nick Karadza: If you need money, you can just reconfirmed. You’re Italian so you can get reconfirmed. You can have a big party, tell all your relatives to come over and bring you cards with money in it. Tom Karadza: Get the … going. Paul D’Abruzzo: Just get married or have kids. Tom Karadza: And money flows into your life. Tom Karadza: How did you get over to, because you’ve always done really good. Something I’ve admired of you from afar is just your ability to crunch numbers and smell out good properties. You’ve already had a really good knack for that. How did that transition happen to multi-units and apartment buildings? Because you had to research it and stuff. You just thought, what? Bigger is better? Tom Karadza: Which is kind of incorrect, a lot of times. But you went to it. Paul D’Abruzzo: Yeah. When you start learning how to crunch numbers in real estate, you start to learn that you need to achieve some kind of efficiency if you want to grow your portfolio. And in theory, not always in practice, but in theory, the bigger you get, the more units you have under one roof and theoretically, the more efficient the income you produce should be. Because you have only one roof and one heating system and one front door and one address and one building to manage, versus ten houses with ten roof and ten furnaces and ten ACs and ten different tenant in ten different locations. So it does work, it’s just in practice, it’s not always like that. Tom Karadza: Yeah. I personally never buy into that theory. But I can see where it comes from. I understand where it comes from. How do you crunch the numbers? Just so I’m clear, the reason I don’t buy into the theory is because once you go up to a 12 unit or a 14 unit, there seems to be so much competition for those buildings that the prices of them for you to buy them are so high that the return that you get on these buildings is super low. I’ll tell you, since we’re talking about Italians, an older Italian guy once told me, you don’t make money buying buildings. You buy buildings once you’ve made money. And I always thought that was really great advice because it seems like the returns are better in some other categories of properties. But you’ve made them work. And I want to talk about, for someone listening to this, how do you crunch the numbers? When you’re looking at a building, what’s the first thing you look at? Location? Numbers? Size? Is there a size window? What’s the first thing that you look at? Paul D’Abruzzo: If I’m looking at buildings, I’m only looking in locations that I already like or the fundamentals are already good. So location is never really a problem. Tom Karadza: Give me a couple examples. Paul D’Abruzzo: No one should be surprised; in the greater Toronto, southern Ontario area, Kitchener, Waterloo, Cambridge, Hamilton and the Niagara area all have great fundamentals for multi-family. They’re growing. The demand for rentals is there. And you can still buy buildings that still make a decent income; enough to cover your expenses and cash flow. Nick Karadza: Yeah, because a lot of people often will mention these other areas and not much in Toronto. But Toronto, look, there’s all sorts of demand for good rentals in Toronto, but to your last point, the prices are so high. There’s so much demand that the returns are squeezed so low that a lot of people, ourselves included, we’re willing to go out from the city a little bit to get better bang for our buck. Tom Karadza: They’ve made their money. That’s back to your point. You’ve made the money…now you just need to park it to then collect the rents and make the return and you’re happy. Paul D’Abruzzo: And they’re parking it because it’s consistent and they don’t have to worry about the money coming in. It’s not something they have to manage day to day with their finger tips. It can be left with a property manager. They could live in God knows where or go on vacation God knows where and it’s still fine. Nick Karadza: And it’s relatively safe. It’s one of the reasons that CMHC will insure multi-unit mortgages because they view it as a relatively safe asset class. Paul D’Abruzzo: I talk about this in the class we have at Rock Star. CMHC is an insurer and by default they are totally biased against risk. Paul D’Abruzzo: So other than your own personal home, the only other asset class they will insure is multi-family. So by their definition, they think it’s safe. Why wouldn’t we? Tom Karadza: Just since we’re talking about that, you can buy through their program, although it’s rare, they do have, do they still have the 15% down program? I know where we’re headed, but just for everyone, just paint the picture, they do have a 15% down program, it’s just that the appraisal is likely not gonna match what you’re buying the property for, so even if you get approved to put 15% down, you’re going to have to come up with the difference. So if the property you’re buying for 1.5 million is only appraised at 1.3 million, you are going to be able to buy the property at 15% down, of 1.3, but then you have to come up with the extra $200 thousand that you’re buying the property for. Tom Karadza: Yeah, listen to that a bunch of times, but that still exists and more people don’t know that. Paul D’Abruzzo: They use the term, “loan to value,” instead of, “down payment.” So they will finance the purchase at 85% loan to value the caveat being, based on their appraisal. Tom Karadza: Which is a rude awakening if you think you’re buying the property at 15%, or 85% loans to value and then it comes back at a different value. Paul D’Abruzzo: Yeah. But when you’re financing a commercial, and the mortgage brokers listening might not like this, but if I’m representing you or if it’s my purchase, I treat commercial financing like a buffet. I don’t just go to one person and pray for the best. It’s insanity for me. So I go and I get a CMHC option. I go and I get a commercial option. If it’s in a place like Hamilton or KW or even smaller towns anywhere in Ontario, they likely have local options; credit unions and stuff. So you want to go to them and get options. Tom Karadza: I don’t think I knew that. Paul D’Abruzzo: Yeah, absolutely they are. They love it. Why wouldn’t they? Tom Karadza: No, it makes sense. I just don’t think I’ve ever talked about that. Paul D’Abruzzo: Yeah, of course they do. Especially if it’s in their local community and they understand it and the guy behind the desk, who literally is gonna write your application, he knows it. He can drive by it, which he will. They’re gonna finance it. Tom Karadza: And then when you’re crunching the numbers, before that, I just want to talk about the property values. Nick and I looked at a building, Paul I don’t know if you came, it might have been before your time, on Saint Clair. Do you remember that building that we looked at? Nick Karadza: I do, actually. Tom Karadza: It was before cap rates went down, we’ll talk about cap rates in a second, before valuations of buildings went crazy. We kind of laughed at home much they were asking for that building. Nick Karadza: It’s probably worth double now. Tom Karadza: Yeah, a few years later it probably doubled just because cap rates got squeezed down. We’ll talk about that in a second if you’re not familiar with cap rates. Nick Karadza: Who needs an extra couple million bucks away. Tom Karadza: Yeah, what’s a couple million? Then there was this building in Oakville. Paul, were you the one that delivered the message for me on that one? With my brother in law? Paul D’Abruzzo: I think so. 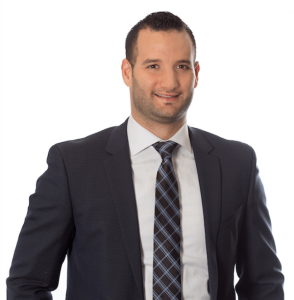 Tom Karadza: My brother in law, I don’t know if he wants me to share this or not, was gonna buy a property in Oakville and I remember thinking it was pretty expensive. But looking back it’s laughable. How many units was that thing? I think it was 16 units. 1.1 million. Paul D’Abruzzo: No, it was more. It was like 1.6. Tom Karadza: I think that’s what it went up to. Because the banker that we were using gave you a message saying, “can you tell Tom to tell his brother in law that, remember when you guys said it was so expensive and the cap rate was already crazy? The cap rates went crazier and the building that he thought was too expensive at 1 million or 1.1, is not worth 1.6?” I almost had a heart attack. Nick Karadza: …And that was in really short time frame, too. Tom Karadza: Yeah, that was from 2008 to 2009 or something. Paul D’Abruzzo: Yeah. Very simply in my head I can do it and you can do it too with an iPhone calculator; gross income. You’ll want the gross expenses. And the gross income minus the totally expenses will give you net property income. So very simply, all the rents all added together minus what it takes to operate the property, taxes. Tom Karadza: Talk into the mic. Paul D’Abruzzo: Yeah. And whatever’s left after that is your cash flow. Tom Karadza: Minus vacancy rate in the area. Which is a big point because the bank’s gonna assign a vacancy rate to the area whether there is vacancy in your building or not. Paul D’Abruzzo: Very simply, going down on my specific list is property taxes; insurance; then you got your utilities, heat, hydro, water; management then maintenance; and then some auxiliary expenses you may or may not have at the building. It could be garbage pick up, could be landscaping, could be snow removal, could be cleaning the hallways. It could be a number of things that are dependent on the property itself. Tom Karadza: Superintendent. Did you say super? Paul D’Abruzzo: Could be a super, yes. I hooped that in with management. Tom Karadza: Sure. Makes sense. And then that gross revenues minus all those expenses and that operating income, and then whatever your mortgage costs are going to come up to, come off the net operating income. Tom Karadza: What’s left is the money, basically, in your pocket. Tom Karadza: Am, I forgetting anything? I think that’s it. Tom Karadza: you know how people talk about cap rates? How do you, do you know off the top of your head? Paul D’Abruzzo: Yeah. Basically it’s net operating income; all the income minus all the expenses would give you an NOI and you would take your NOI and divide it by the purchase price. If the net operating income of the property was 50 thousand, the gross income is 100 thousand, the total expenses are 50, that leaves you 50 thousand NOI. If the price of the building is $1 million, you take 50 thousand, you divide it by 1 million, and that gives you a 5% cap rate. Tom Karadza: Got it. And cap rates are what everyone talks about on the valuation of the building, when you’re talk to all the “pros.” Correct? Tom Karadza: What are cap rates, what do they look like in Kitchener right now? Tom Karadza: Like roughly around Toronto. Tom Karadza: I thought you were gonna say like four and half. But five, five and half? Paul D’Abruzzo: Some people try and get that. Doesn’t mean they get it. So in Hamilton, it’s roughly the same but you can get some better cap rates; I’d say five to six. Tom Karadza: And Toronto? I know I’m generalizing saying all of Toronto, but Toronto? Paul D’Abruzzo: Four and half or below. Tom Karadza: Yeah, so the prices are pushed up, making the cap rates come down. Paul D’Abruzzo: Yeah. Basically I find that at a five cap rate, you’re cash flowing enough to keep the place alive. Anything below that, you’re into break even to negative territory with most buildings. Tom Karadza: There’s just not enough free cash to pay for what you need to do. Tom Karadza: And then, what about size of buildings? Do you have a preference on the size of buildings? Just bigger is better or … ? Paul D’Abruzzo: Whatever you can get. Tom Karadza: I know, just asking that is making me sound crazy. But is there one that’s too small? Paul D’Abruzzo: No, not really. Sometimes in a practical sense, if you’re actually looking to buy a multi-family building and you have a few 100 thousand dollars and you can afford up to 1.5 million, that might get you a 10 or 12-plex. Sometimes, it might make sense to get two six-plexes. Or two four-plexes. Paul D’Abruzzo: Or three four-plexes. Because of what’s available. Sometimes you may not find the 12 or the 15 unit that you can afford. It might not be available in the market place at good enough numbers for it to make sense. It might make sense to actually get two four-plexes. Tom Karadza: If somebody buys one of these things, let’s say they hate it. How long does it take to sell? I buy a 10-unit in Kitchener. I price it at a cap rate of five. I want rid of it. How long does it take me to get out of this thing? Paul D’Abruzzo: If you price it properly and there’s no glaring, massive deficiencies that are gonna get noticed by someone like me, 90 days. 120 days. Tom Karadza: That’s funny when you said, “noticed.” You mean just hide it? Paul D’Abruzzo: Yeah. They try it all the time. Basically, they assume you’re stupid. Tom Karadza: What have you see that people tried to hide? Paul D’Abruzzo: Oh my God. Do you want a list? Tom Karadza: No, just give me an example. Paul D’Abruzzo: Well, they’ll say on an initial tour, let’s say it’s a 10 unit building. You’ll never see all the units on the first tour. Basically, long story short is, you finally get in there and it’s a dungeon; a hoarder’s paradise or a rat-infested unit. Something’s wrong with it and they’re just trying to kick it down the line so maybe you forget. They’ll sometimes do that with parts of the building they didn’t want you to see. I wouldn’t take it personally, it’s just … kinda how guys do something. Tom Karadza: Having said that, that building we were talking about earlier on Saint Clair in Toronto, they told us on a unit like that, I forget, it was like, “come back next time for this unit on the ground floor.” It was a bachelor. We were like, “okay, we’ll come back and see it.” we finally get back to see this bachelor, it was basically a storage unit. But it was a storage unit that had a kitchen, a hot plate, and one of those smith beds. You know those beds that go up and down? Tom Karadza: So when you open the door, if the bed was down you couldn’t open the door. It had a little washroom, somehow, in the corner. I feel like this bachelor was 10 feet by 12 feet. Somehow this was the whole bachelor. Paul D’Abruzzo: Somebody would rent it. Tom Karadza: Yeah, it wasn’t rented but on their rent role, they were running the numbers like it was rented so that the number looked like, “you could rent that out.” But then you realize, this isn’t a 12 unit building, this is an 11 unit building with this weird room. So that’s what you’re talking about. Paul D’Abruzzo: Yeah. If you want to learn how to calculate number and run number quickly in real estate, the best place to do it is with analyzing multi-family. It’s a very valuable skill. They can’t hide anything from you when you know how to use numbers properly and you know how it equates to the marketplace and what it should be. Paul D’Abruzzo: I do too. Tom Karadza: Do you? Why do you? Paul D’Abruzzo: It’s not a natural place for most people to start. Tom Karadza: So just the money involved? Is that where you’re coming from? Nick Karadza: They’re their own little business. You gotta run it like its own little business. If you don’t, it’s just gonna be a mistake. And a lot of people aren’t ready for, a lot of these buildings, the people buying them, they’re not used to older kitchen cabinets that still don’t have rails on the drawers. Certain repair level they might not be at and these people just don’t want anything to do with them. They want nothing to do with a property like that because they don’t have granite countertops and the latest LED pot lights. Tom Karadza: That’s the other thing, this is gonna sound horrible, but if you’re not used to renting out units for, Paul, what? $800 a month or something like that, sometimes you’re not used to some of the things you have to deal with. Paul D’Abruzzo: I was guilty of it too, so I don’t want to sound like that kind of guy, but you have to understand that some people live at different standards than you might be used to. That’s just what it is. There’s no nice way to say that, sorry. Nick Karadza: It’s a nice way to dip your toe in the water. Tom Karadza: It really is. Because then if you want out…you can get out. Nick Karadza: The chanced are early on, with all the experience, if you can’t deal with that, …to deal with a building, you’re gonna have a substantially harder time dealing with a building. Nick Karadza: They get the bigger picture. Nick Karadza: Some people invest in real estate and they make 200 bucks a month on the property and they’re using that 200 bucks a month to fund whatever else they’re trying to do. Whereas, in a business, you don’t take all the money out of the business every single month because the business has not way to grow; it’s got no safety net. So with these buildings, people are parking the money and they’re running it like a business, reinvesting back into the building … raising rents to get return on that money that they’re reinvesting. Tom Karadza: What Nick just said took me a while to figure out because when I started going, reading all the books, like Rich Dad, Poor Dad and Cash Economy, I started to understand passive income and then I started going to the seminars. I just added up the $200 a month that you were saying and saying, “if I get $200, if I get five of these things, that’s like $1000 a month.” I think my mortgage payment back then was like 1300 bucks a month or something. That’s pretty much my mortgage. Maybe five or six of these properties, that’s my mortgage payment. I didn’t realize it is like any other business and a business requires you to feed it in order to survive. You can’t starve the business. I remember when I first started learning about that, and reading about that from other business and entrepreneurs, I was pissed off with them. I thought, “oh my God, they just don’t get it. If I can earn $100 thousand from my properties or from my business a year, I’m just golden.” I didn’t realize that to start a business, you have to feed it so much. I was clueless to that. Paul D’Abruzzo: Yep. Is that sound me? Paul D’Abruzzo: The biggest thing I tell people when they’re first getting started, and I’ll add something else after, is you probably should start out with single family 80, 905 of the time. But you can always turn it into multifamily in the future. To go with multi-families to start out with, you’re gonna be parking a lot of capital for a longer period of time and you have to be okay with that. Starting with single family allows you to recycle that investment you made probably a little bit faster to buy your second property and your third property. If you’re getting started that way, it makes more sense to let your current portfolio, if you have three, four, five properties, buy your multi-family. Rather than go in your savings and rip it al lout and buy a building that’s gonna sit there for five, eight years maybe before you get your money back. So let your properties buy your multi-family. This way you still have a base of properties to continue to feed from, like you said, your business. Tom Karadza: How did you buy your Turks and Caicos property? Paul D’Abruzzo: A lot of cash. Tom Karadza: So that was just a straight up cash purchase? Nick Karadza: Isn’t that the worst? When we bought that place in Croatia, it was the same thing. Tom Karadza: Don’t remind me. Nick Karadza: “We have to pay it all in cash?” …So used to small down payments, right? Tom Karadza: It took us four years to close. Nick Karadza: Well, that process was, we might not even own the property actually. There’s still a 50/50 chance whether we own it or not. Tom Karadza: I think legitimately we’re at the last step where it’s at the title registry, we’re still not moved over, but in some other paperwork it has our names on it. Nick Karadza: When we go, no one else is there and we get to stay there. So that’s all that matters. Tom Karadza: No one else has claimed the property. Paul D’Abruzzo: You have access to it. Tom Karadza: …We have access and we think we own it. Nick Karadza: It’s very expensive hotel room for us. Nick Karadza: I wasn’t there, you did this. Tom Karadza: They don’t trust each other because of hyper inflation back in the 1990s during the war banks went completely out of business, apparently. We banked at a different bank over there than the sellers banked at so when I went over there to do the final payment, I said, “do I just and get like a bank draft?” And they looked at me like I was crazy. I think it was the bank I went to looked at me like I was crazy and they said, “no, you’re gonna have to take all this money in cash so we need two weeks notice.” So I had to request, at that time, I thin I requested like 50 thousand, and it wasn’t Euro. So it was 50 thousand Euro, but the equivalent, because this was our last payment on the place. Nick Karadza: No, you didn’t pay the sellers. You didn’t take it to a bank? Nick Karadza: And then they sat there and counted it? Tom Karadza: Yes. They had to and I feel like I, I watched them count it all. Nick Karadza: Wow. I guess I forgot that. Nick Karadza: I must have left that year. Tom Karadza: It was awesome. I was shocked. To this day, still amazed by the thing. Just the chunk of cash. Is that how you bought in Turks? Paul D’Abruzzo: No, bank wire. Tom Karadza: Yeah, bank wire, okay. But it was a cash payment you had to make, too? Paul D’Abruzzo: Yes. There’s a lot to that story. I don’t know if you have time for that. Tom Karadza: It’s a vacation property for you? Tom Karadza: When you say, “we,” you and a friend own that. Paul D’Abruzzo: Myself and my quasi business partner, Andrew. Tom Karadza: Yeah, you guys own that one together. Tom Karadza: Okay. And you’re renting it out all the time? Paul D’Abruzzo: It was rented, actually, full time to a couple of British teachers that lived on the island and taught English at the school. They left and we had a hurricane come through, I don’t know if you heard of it, Irma and Maria. Nick Karadza: And crushed it? Paul D’Abruzzo: Pretty devastating for a lot of places. We luckily made it out with not so much damage. But it was time to renovate anyways so we just took it in stride and spent the money and fixed it up. It’s almost done and it will operate as a fully-fledged vacation property by May first. Tom Karadza: Did you guys buy that, I’m just interested in the mindset. You guys bought that just so you’d have a place in Turks and Caicos? Or you bought that so that you knew every year your families were going to use it as a vacation home? Because if it’s fully rented, you’re not using it. Paul D’Abruzzo: The cheesy line I use is, ROL. We were looking, instead of getting a return on investment here in Canada, which we could have done way better with the money here. We’re getting a return on our lifestyle down there. So, yes we make a little bit of money, but it’s nothing exciting. But we get to improve our lifestyle and that’s really what real estate’s all about; if you’re not improving your lifestyle, then really what’s the point? Nick Karadza: I like the video that I saw of one of the renovators, the work that they were doing. I think they were moving some bricks or digging a hole. I thought it was in slow motion, but it wasn’t. They guy was picking like half a brick up at a time and throwing it into the ditch. Paul D’Abruzzo: Island time, man. Nick Karadza: Yeah. Because Andrew showed me. He was like, “look at the pace these guys work at. What if these guys were at your house doing your,” because this probably when I had moved out or something. He was like, “what do you think?” And I was like, “holy cow. It would drive my crazy.” But what can you do? That’s the way it works. It was literally one little block at a time. Tom Karadza: So you started reading the books at 22, bought your first property at 24. You’re now 32. I’m just trying to paint a picture for anyone thinking about this. Nick Karadza: Was the because of real estate. Paul D’Abruzzo: It was your fault. Nick Karadza: The stress involved. Listen, if you’re gonna be an investor, you gotta be ready for serious health issues. Paul D’Abruzzo: You have to become a professional, and I mean this with all sincerity, a professional problem solver. Nick Karadza: Yeah. I agree with that. Nick Karadza: Passive income takes an awful lot of work. Tom Karadza: It takes a lot of active work to create passive income. Paul D’Abruzzo: The thing that I learned is that your problems never really go away. You just had better problems then you did yesterday. The results from solving those problems get a little better and better the more problems you solve and the better you get at solving them. Tom Karadza: Do you know how proud I am of Paul right now? Nick Karadza: The stuff that used to freak me out when I first started investing that would drive me crazy, it would stress me out. Now, when the exact same thing happens I’m like, “whatever. I’ll deal with it in a few weeks.” I leave it on my desk for weeks and that’s the stuff that before I thought was the worst possible thing and it’s really like a non-issue. So yeah, the goal is always, at least of us, been to create bigger problems for yourself. Paul D’Abruzzo: Buy a commercial building, and get uncomfortable again. Tom Karadza: Yeah. As soon as we focus on bigger problems, the small problems seem to magically take care of themselves. I know this sounds ridiculous, but they almost seem to vanish or the solution just magically pops up. Nick Karadza: Well, they vanish because you ignore them because you realize they don’t matter because there’s bigger things you have to worry about. Paul D’Abruzzo: You ignore them or you acknowledge them and immediately do something about it. Tom Karadza: …Yeah, just to get it off the plate. Boom, gone. Tom Karadza: You can make a decision so much faster. So whenever you’re stressing about a problem, that’s the number one thing that comes to mind; is this problem worth me figuring out and why don’t I have bigger and better problems to figure out? Paul D’Abruzzo: My health took a turn because I had too many problems, self-inflicted problems. I was doing too much at a time where my body needed to rest and I didn’t know how to listen to my body or listen to the signals. I just put my body into a state where I couldn’t handle anything, never mind during real estate. I couldn’t barely get up out of bed in the morning. Tom Karadza: That was an adrenal thing, you think? Paul D’Abruzzo: It was an adrenal thing and then it was another thing and another thing. Tom Karadza: The hours of firefighting probably didn’t help. Paul D’Abruzzo: No, nothing I did helped. Tom Karadza: All of it together. Paul D’Abruzzo: It wasn’t one thing over another. It was partly my fault, too, and another thing. You just learn. It sounds crazy but I’m grateful for the experience because I’m a better person for it because I know how to listen to my body and I know how to take it easy. I made some changes in my business; I hired a couple of assistants. I have a team of realtors that work for me now. It was all because of that, if that never happened, I probably wouldn’t have gone down that road. Paul D’Abruzzo: Stomach. I had some parasites in there. Candida infection. Now we think I have a high concentration of ferritin or iron in my blood. Tom Karadza: You said that, that’s right. Paul D’Abruzzo: That’s causing, believe it or not, heart attack-like symptoms that are pretty scary if you don’t know what it is. But as soon as we found out, and there’s a very good chance that’s what it is, immediately the symptoms dropped by 50%. It’s like, “at least I have control over it now.” There’s some kind of control there. I know what it is. It’s easy to fix and it’s just, gone. Almost like acknowledging a problem. Tom Karadza: What broke for you? When did you know you really had to address your health? You couldn’t get up in the morning? Paul D’Abruzzo: It was 2016 and I remember coming home from the gym because I was heavily into CrossFit at the time and I haven’t even been back yet. At the time I was feeling great. I was strong. I was doing everything I wanted to do in the gym and then I couldn’t recover. I couldn’t. I would go back and then my performance was 50%. Paul D’Abruzzo: I was still sleeping but I couldn’t recover and then I started to get brain fog in the afternoon. I mean, enough brain fog that you’re like, “what’s going on here?” I don’t know about you guys, but when I was in my early 20s I smoked a lot of weed and that’s how I felt. You couldn’t function. Paul D’Abruzzo: Try the candies. Never mind, though. And then brain fog and then fatigue, but fatigue enough that you notice, “what’s going on?” and it doesn’t go away. And then it was Tom who was going through something similar who went to see a naturopath who referred me. Turns out I had the same thing. Tom Karadza: We’re gonna bring him on I think two weeks, he’s coming on. Paul D’Abruzzo: Definitely life saver. Mark your calendars for that one. Tom Karadza: What are you wearing one your wrist right now? Paul D’Abruzzo: This, apparently, you have the Canadian rights to this. Tom Karadza: No. I should. Nick and I both should. Nick Karadza: Not me. This is all you. Paul D’Abruzzo: This is a WHOOP band. It’s almost like a Fitbit but much better. Tom Karadza: Have you found that useful to get that data in the morning? Paul D’Abruzzo: Yeah, very useful. It tells you how your sleeping, the quality of it and your heart rate through the day. Your average. How well you’re recovered enough, if you’re working out. I’m not anyway right now. I recommend it once it comes to Canada. Nick Karadza: The recovery is the key for that one. I think that’s the biggest difference. Tom Karadza: It is available in Canada now, Paul. Tom Karadza: Nick and I just bought, no, we’re not affiliated with WHOOP at all. Actually, Nick, I got something I’m so excited for. A different one that Nick just got for me. I’m on pre-order for the Oura Ring. Nick Karadza: Yeah, the Oura ring which is a ring that does something similar. I haven’t played with it too much because I haven’t seen the app yet because we haven’t got the hardware. But I know Tom’s into that stuff pretty heavily so I got him one of those things. The new version comes out in about a month or so. Nick Karadza: It’s supposed to be good and the battery life is up to a week. Paul D’Abruzzo: I’m interested now in the HRV and how it’s calculated because sometimes it doesn’t make sense but I just go with it. Tom Karadza: I can see it like clockwork. If I have wine, the next day my HRV is messed up compared to not drinking wine the night before. Nick Karadza: Someone sent us a screen shot of theirs, this is a few weeks ago. I’m not gonna throw it under the bus too much. Their recovery was 4%. Apparently it was a good night. Paul D’Abruzzo: It was a good night. Tom Karadza: The weird part is, I don’t know if it’s just stress; sometimes in the summer when I’ll have people over in the back yard and have a few glasses of wine by the pool and the kids playing around and I will drink. The morning my recovery is really strong. Nick Karadza: First thing out of bed, I get food. Last thing I do before I go to bed is put food in my mouth. Tom Karadza: What was frustrating me, Paul, I can’t remember if I mentioned this to you, I think I did. My recoveries when I was going to see Dr…and I was complaining saying, “I’m doing everything right. I’m really making an effort to get more sleep. I’m eating well. I’m doing the cross. I’m loving the exercise but I don’t think I’m exerting myself too much,” and my recoveries two or three times a week were in the red zone. He said he was trying it with one of the UFC fighters that he works with and he said, “give yourself a 12 hour window where your body is not taking any food.” It’s the easiest from of intermittent fasting that you can do. Paul D’Abruzzo: Oh, I never heard that. Paul D’Abruzzo: So, night to morning? Paul D’Abruzzo: 6 PM to 6 AM? Or 7 to 7. Tom Karadza: Yeah basically. He said, “when do you eat breakfast?” And I said, “every morning it’s like clockwork, 7:45 AM. That’s when I have breakfast.” And he said, “for a month, stop eating at 7:45 PM just to see how that works.” I started do that, on day two of doing that my recovery started going through the roof. My body just seems like it needs time to process whatever I’m eating so that when I sleep, it can work on the recovery. That’s about as scientific as I can get with you but he was explaining to me the details on it and now, it made a huge impact on me. Now it’s to the point where, because I think I am definitely a little OCD-ish sometimes. If it’s 7:43 and I have two minute left to go, I’ll just shove some food in my mouth so I can eat before 7:45. Have I mentioned that to you? Tom Karadza: It’s been a big one. I’d talk to him about it. Paul D’Abruzzo: I’ll try it. Tom Karadza: Okay, Paul. So cool, man. How many kids now? Tom Karadza: Two kids. When are you gonna have them buying apartment buildings with pennies? Tom Karadza: There’s no pennies to roll anymore. Paul D’Abruzzo: They can make their own pennies or nickels. Tom Karadza: Yeah. Next time you’re on, I want to talk to you about some other stuff. I want to you specifically about some gold and silver stuff. I know you’re a believer in some of that stuff and we’re not getting the time to talk about it today. Cool. Thanks for doing this, man. Tom Karadza: Hey it Tom Karadza. We hope you enjoyed that. If you want any kind of real estate investing information, we have a ton of it on Rock Startinnercircle.com. That’s one of our websites. It’s www.Rock Starinnercircle.com. You can get different articles. You can get digital downloads of our books on that website. You can register to come to one of our classes that we host in our offices here to learn more about real estate and real estate investing. So there’s a whole bunch of information for you on that website. If you have any feedback on the show or you want to reach somebody like Paul who you heard on today’s episode or anyone here on the Rock Star team, you can email podcast@rockstarinnercircle.com. That’s the best way to get through to us from this show. Just really wanted to thank everyone again for the feedback we’re getting on the show. As I mentioned at the top of this show, we’re getting a lot of it and it’s positive, so thank you for that. If you could take the time to give us a review on iTunes or send in your thoughts, or when you see us in person share anything on your mind about this. It really helps us guide future episodes, as well. And with that, we have three new episodes planned throughout the next week or so. One of them while were down in San Diego. It’s not confirmed just yet, but we’re excited about that one so I’m not gonna share the name. We’re bringing in a couple of the professionals that we use in different capacities. One is gonna be Dr… who we talk about a lot of health stuff with him and we are patients of his. So you’re gonna hear Dr… on an upcoming episode. And our chiropractor is coming on the show. So we have some different episodes. Stay tuned. We’re going to address some of the chiropractor controversy and see if we can get to the bottom of things. That’s it, until next time, Your Life, Your Terms.